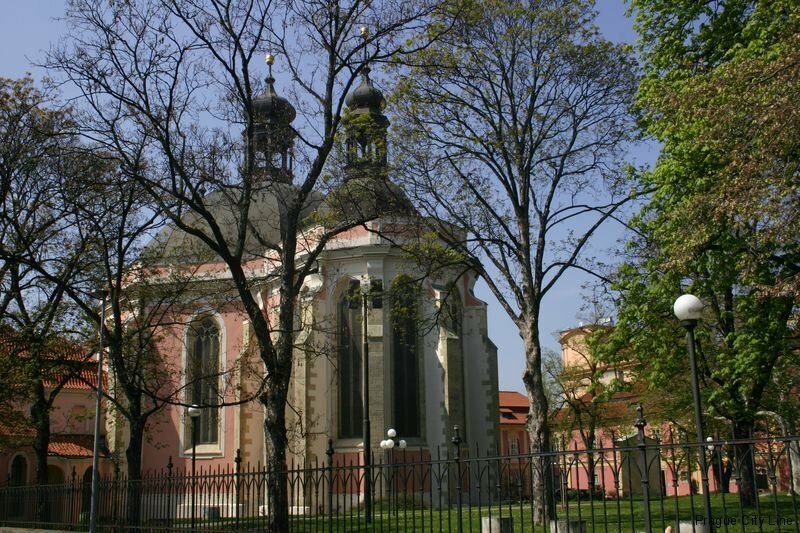 Our further excursion in the tracks of the significant sacred monuments of Prague will take us to Karlov today where there has been a proud gorgeous Church of the Virgin Mary and St. Charles the Great for centuries. 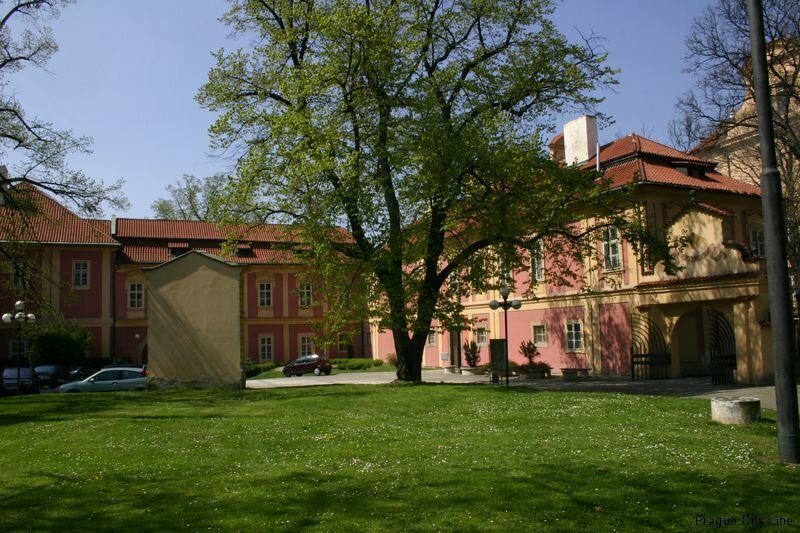 Let´s discover the beauty of the splendid Baroque premises with the beautiful Broque church and the Czech Police Museum which is very popular with the tourists. 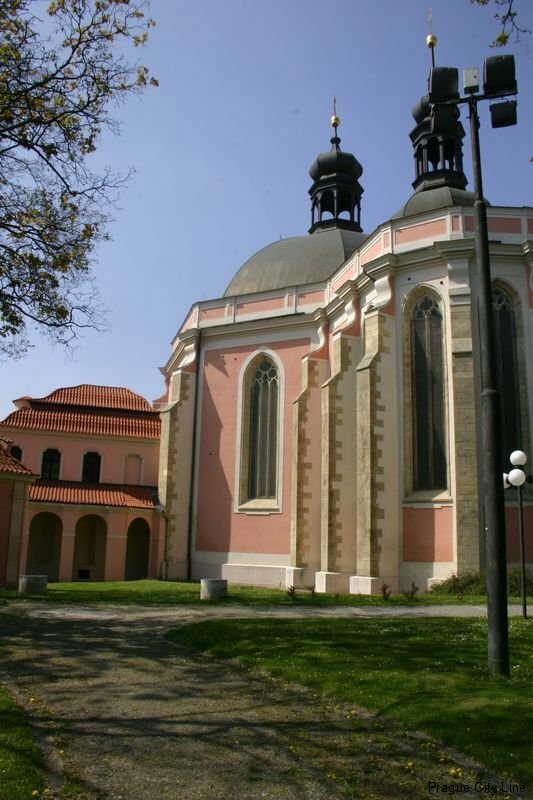 The church was originally built in the Gothic style and later rebuilt in the Baroque style. 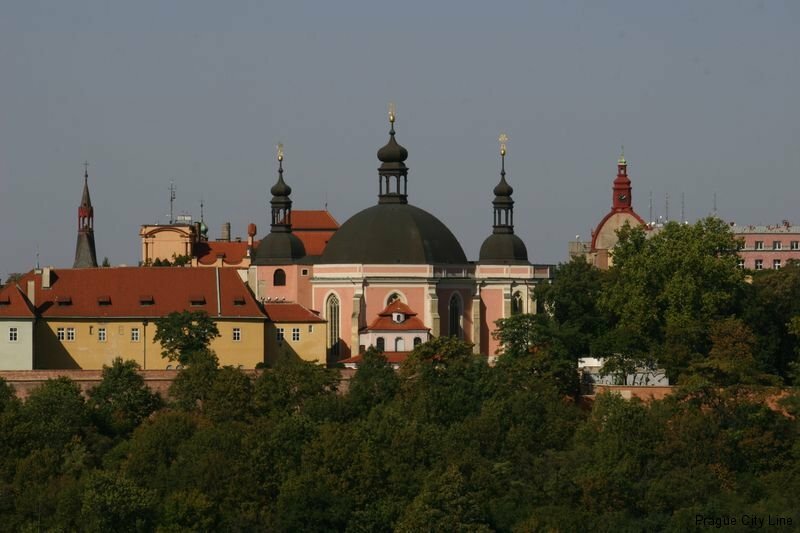 It was established allong with the construction of the New Town in 1351 due to the Imperor Charles IV. The construction was carried out by the famous architect and builder Matthias of Arras who founded the courtly building works in Hradčany of Prague. The remarkable architect, builder and mason was the first architect of St. Vitus Cathedral in Prague. The cathedral was already introduced to us in the articles about the Prague castle. But let´s return to the previous monument. 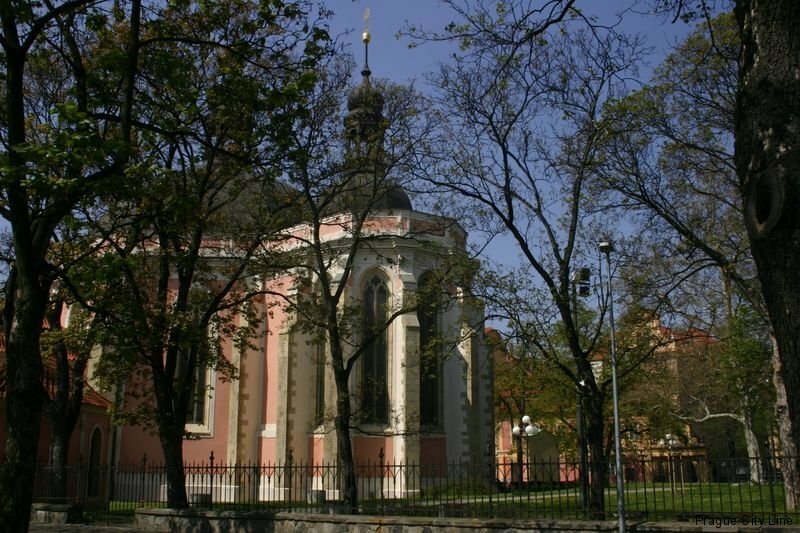 The church was festively consecrated by the archbishop Jan Očko of Vlašim in 1377. 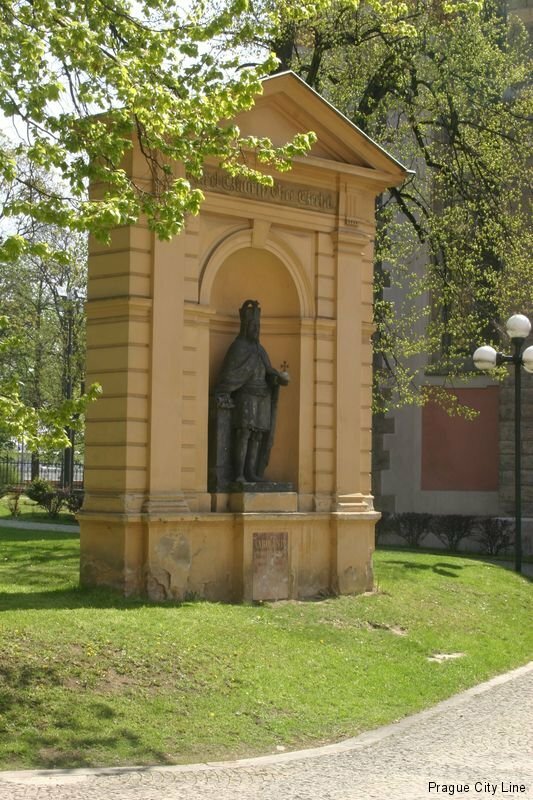 The initiator of the building, the Imperor Charles IV., naturally participated in the ceremony. The monastery of the Prague Augustinian Canons was also part of the church. 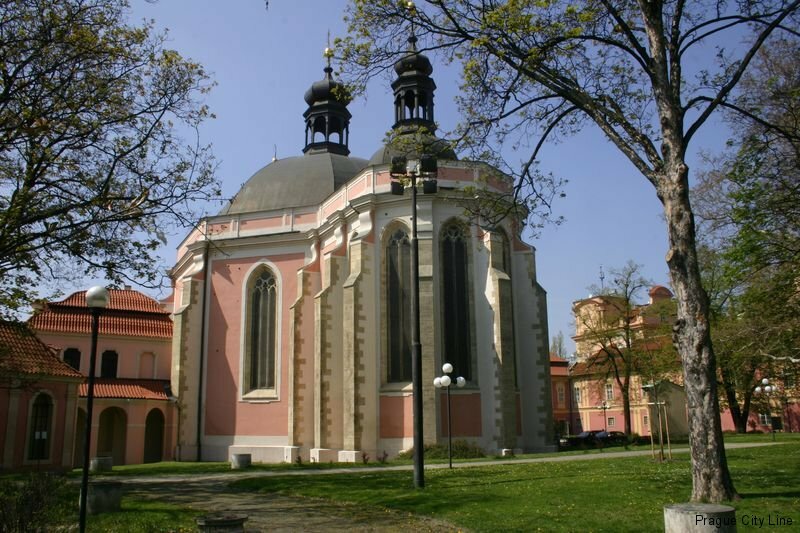 Unfortunatelly, the monastery was heavily damaged due to the Hussite wars and consequently abandoned. Therefore the building was reconsecrated in 1498. Another tragedy affected the church in 1603 when it was hit be the lightening which damaged a considerable part of the construction. However, there was an expensive reconstruction in the name of the monument´s preservation so the church was repaired and got a new roof. 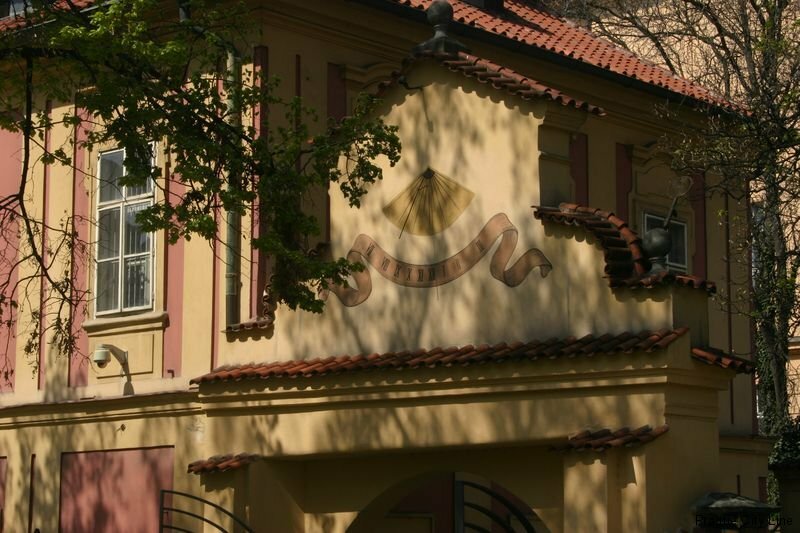 Another modifications this time concerned the interior of the building due to which a completely new gallery in the shape of a gibbous construction was made into which the brand new orgnan from the workshop of Bedřich Semerád was placed. Apart from the gallery also a new rostrum and the church altars were installed in the church. It did not last too long and another knock of fate hit the church. It was absorbed by a huge fire in 1775 which heavily damaged both the church and monastery. The consequences of the fire were repaired soon afterwards. 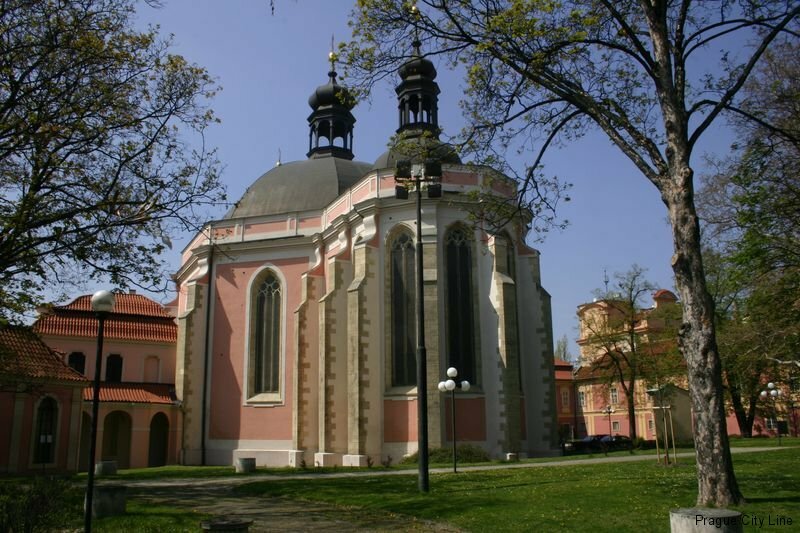 There was another unhapiness in 1785 when the churches were closed as a result of the reforms of the Imperor Joseph II. This command affected the Church of the Virgin Mary and St. Charles the Great which was cancelled. The church was later turned into a hospital. Beside the beautiful church aisle whose layout has a shape of a eight-sided pyramid the visitors can admire also the neighbouring campanile and the building of the holy stairs. The interior complemented by the splendid Baroque furnishings received the new decorations due to the reconstruction in the Baroque period. However, a great part of this mobiliary was moved to the nearby St. Apollinaire´s Church after closing of the church. After you enter the building you will be most certainly taken away by the beautiful dominating main altar from 1872. Another rarity you can see here is the Gothic vault with its diameter measuring more than twenty-two meters. Beside the seightseeing of the church the visitors are attraacted by the Czech Police Museum which is situated in the premises. 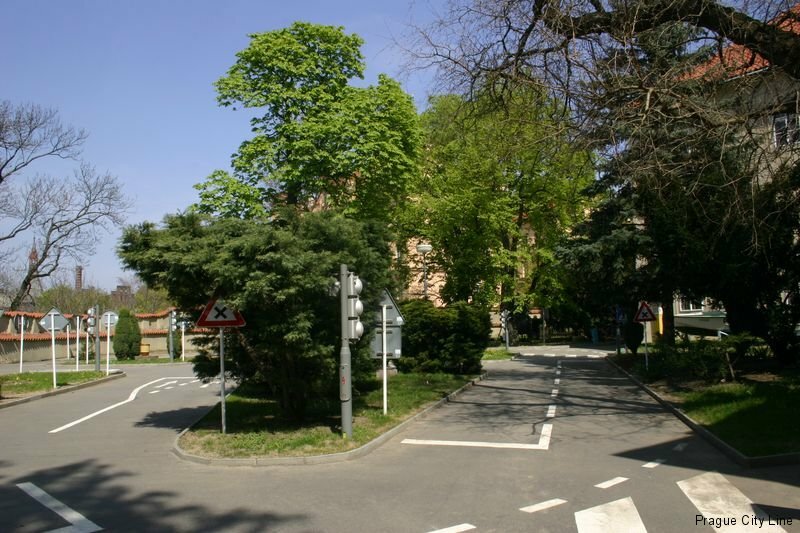 They can learn about the history and development of the security corps in the territory of the Czech Republic. The museum is divided into several thematic units. 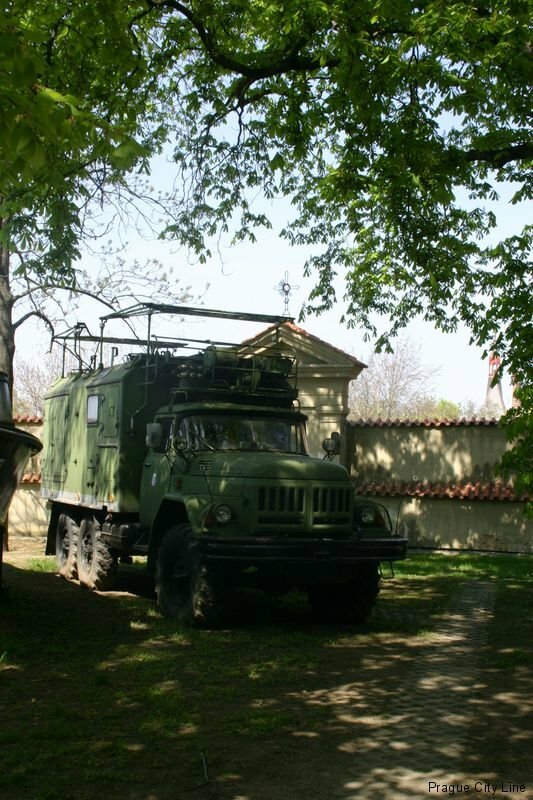 The visitors can see the work of the former communist national security corps, further they can get information on the foreign and border police. And probably the most interesting and most visited is the exposition describing the work of the criminal police and the description of the most familiar criminalistic cases in the history of the Czech Republic and Czechoslovakia.